“These are exciting, exciting times to share the Gospel. Thrilling times to be out there where the people are, and the people are more hungry than ever before,” says Wally Bruder. He should know. The California resident spends his free time handing out BMH Books’ tract, Life’s Most Important Question, to Spanish-speaking people in his city. “I go into a [fast-food restaurant] and the Holy Spirit will single out a family eating lunch or dinner. I’ll be overwhelmed with Jesus’ love for them, and I’m drawn to them. 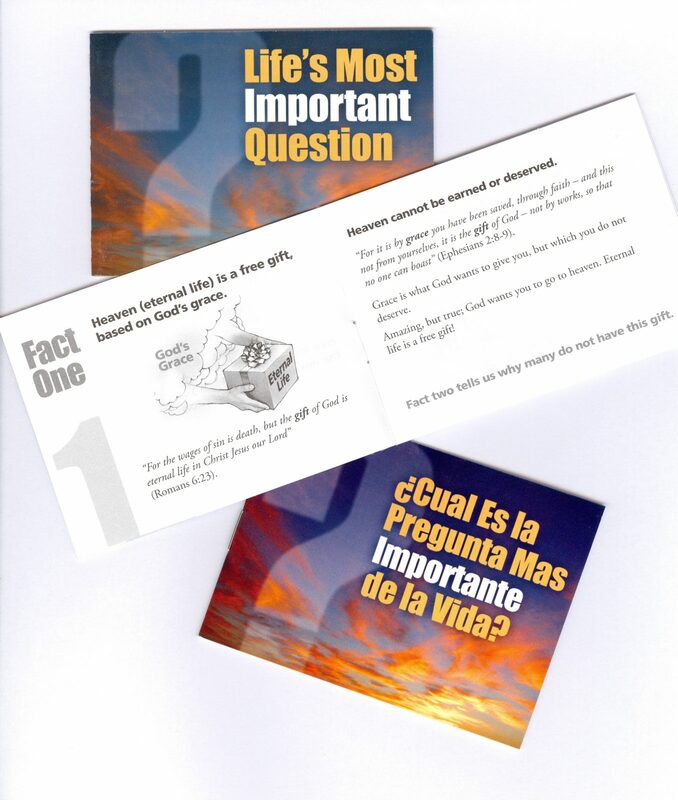 The Lord will give me a word to share with them, and of course I’ll give them the BMH booklet in Spanish,” he says, noting that 95 percent of the time they are open to the Gospel and gladly receive the booklet. As a follow-up, Bruder writes the name and call letters of a local Spanish Christian radio station on the back of all the tracts. “Because of course, after they read the booklet, it’s brand new and fresh to them. Many of them have never heard the salvation message before. They desperately need follow-through with a Christian witness,” he explains.